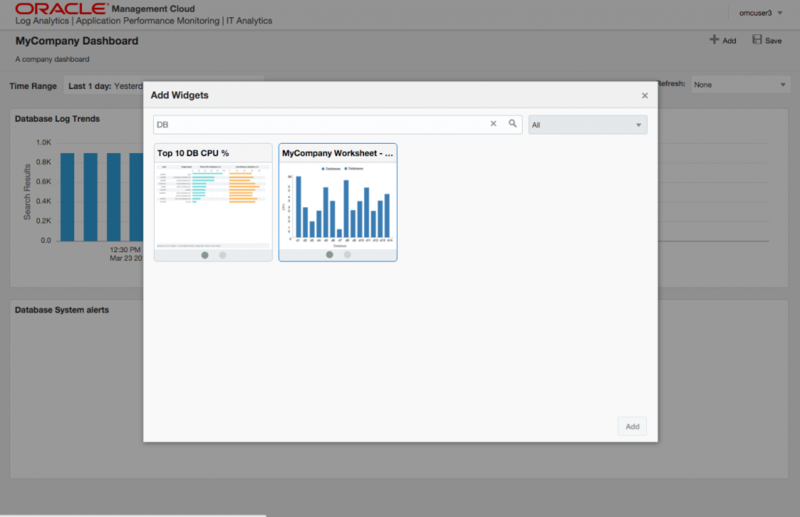 In this post I will give you a first glance of a demo environment of the Oracle Management Cloud offering called “IT Analytics“. This demo environment is prepped by Oracle regarding, among others, an issue with a demo application called “Rideshare” (Uber look-a-like kind of possible application). This post has a lot of pictures. 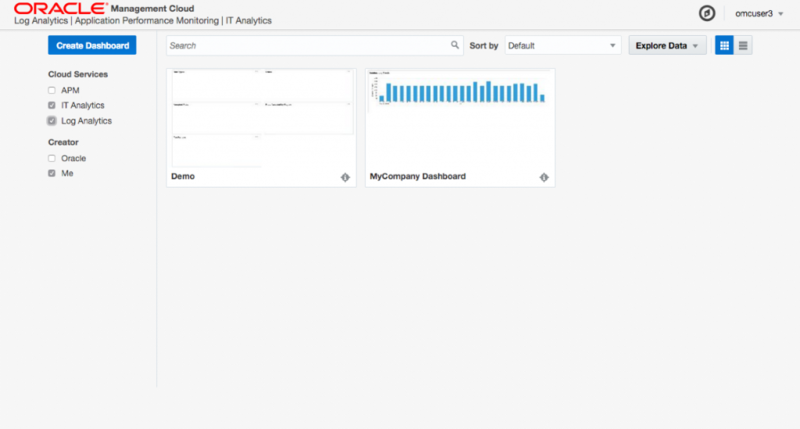 In the IT Analytics service offering, is more about, analytics, creating your own “worksheet”s, widgets, dashboards and the ability to have a overview of the (resource/performance/etc) information you decide you need. 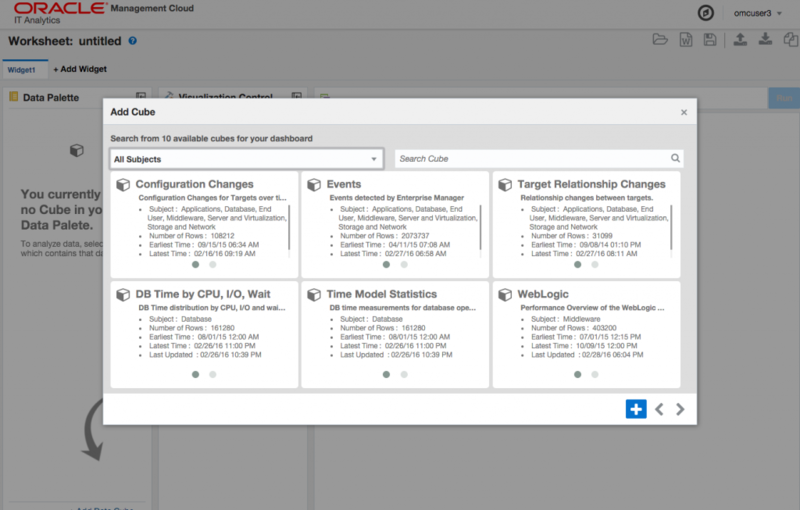 You can do this by out of the box dashboards that are provided by Oracle or create your own or create a dashboard or page with information based on one of the available examples. On the latter, that is where the Data Explorer comes in. The source of the data is, I believe in this offering, pre-setup. 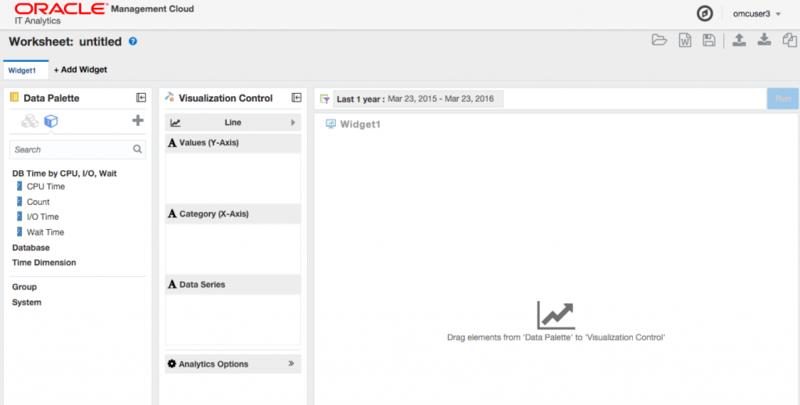 What I mean by that is that you will not have the ability to grab content from a different place other than what Oracle presents to you, which is in this environment database and middle ware information. 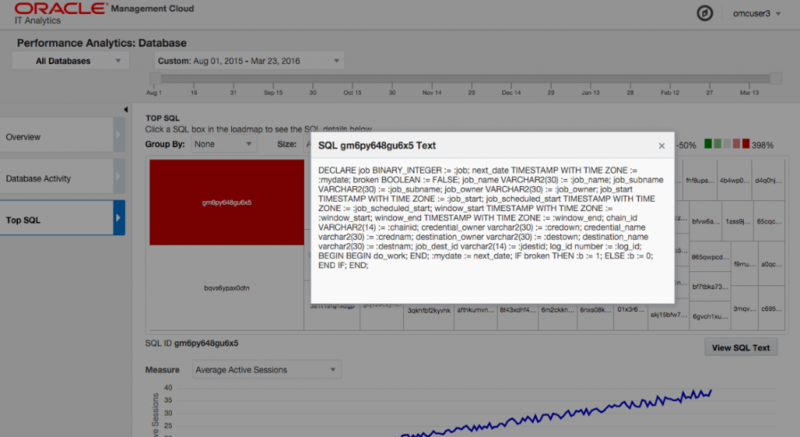 Do you need more, than, I believe, this is where the “Log Analytics” offering comes into play. So you could say, IT Analytics is focused on Database and Middleware only. Via the Data Explorer you can dive into the data, filter it, and provide a way of displaying it. If you like what you have created, than you can save this set-up as a worksheet that, if needed, can be part of a dashboard. 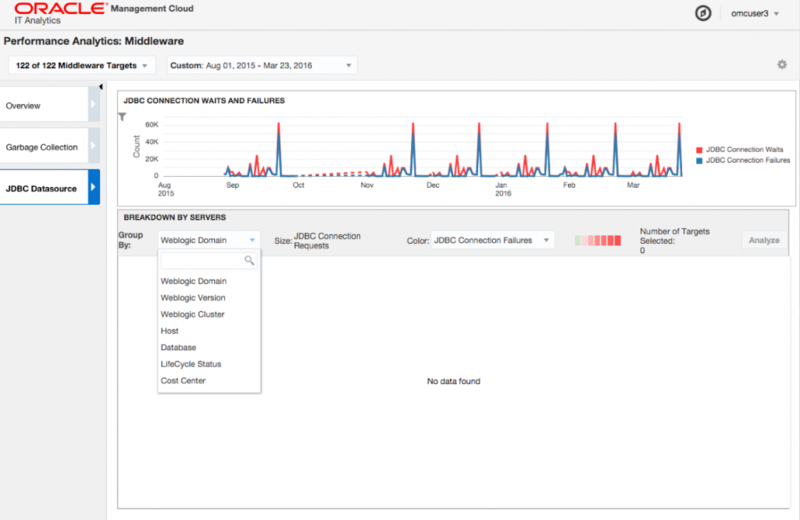 Lets see what Oracle provides out-of-the-box, that is what is currently available in this demo environment. 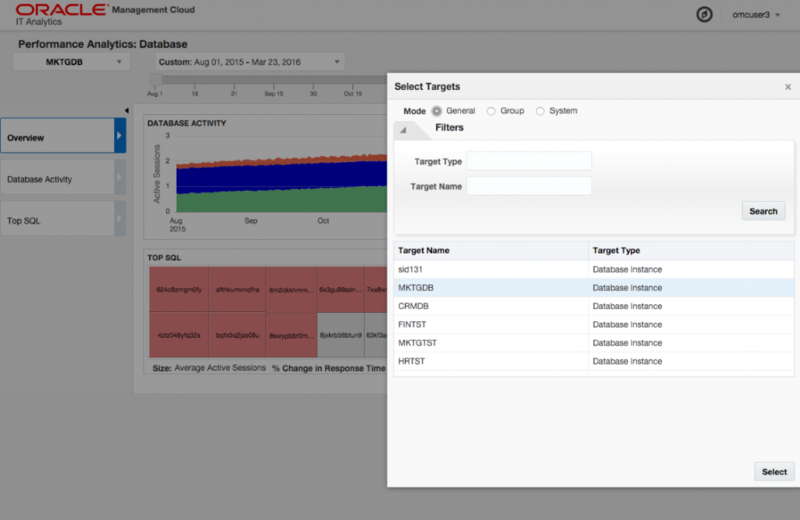 If you filter in the Dashboard section on “APM” and as “Creator” select “Oracle”, you would only see one dashboard. That is a completely different story if you select on “IT Analytics” and “Oracle” as the creator. 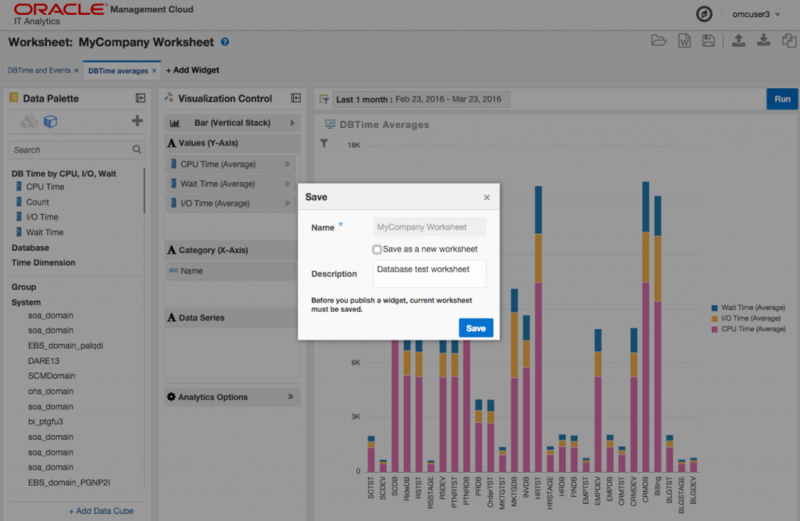 The following screenshot only show a part of the available out-of-the-box “Dashboards” and “Worksheets”. 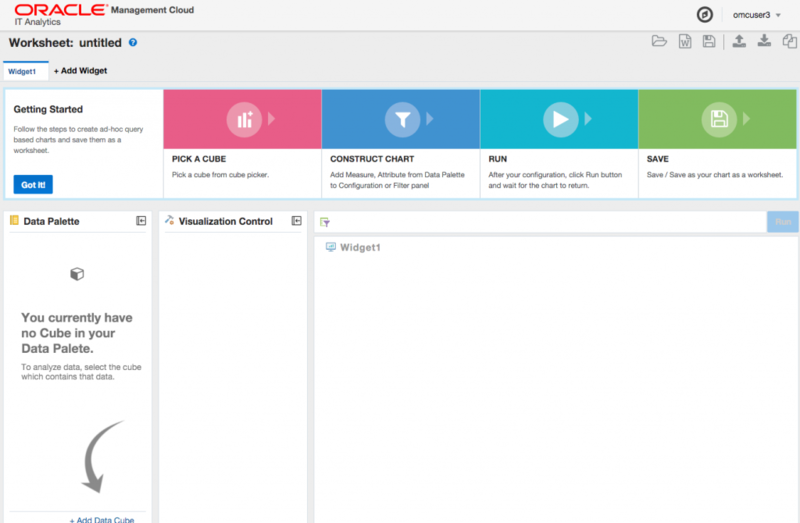 There is summery overview content like an enterprise overview dashboard with Middleware, Groups, Services, Storage, Network and Databases etc. 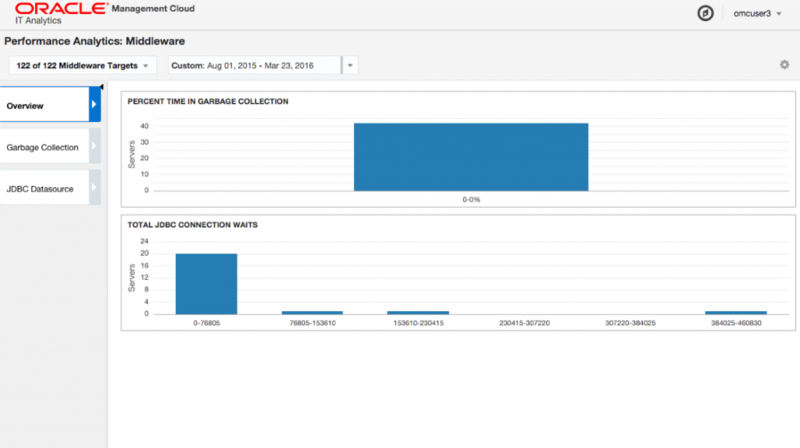 Or an out-of-the-box example of what you might want as a performance database analytics overview page. Or an example out-of-the-box performance / health example of all Middleware environments that you have in your organization. 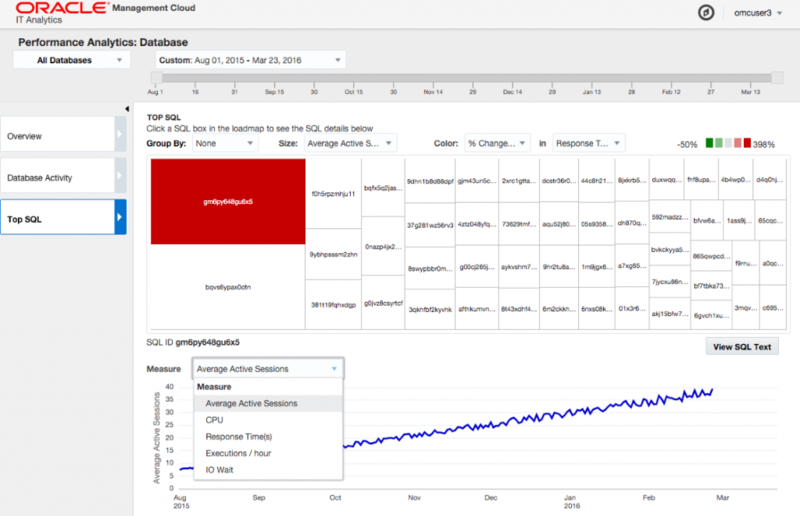 In principle, as far as I have seen, the data sources and content available to create worksheets and dashboards for, is Oracle Enterprise Manager alike and as such you have an incredible amount of content to base to analytics upon. 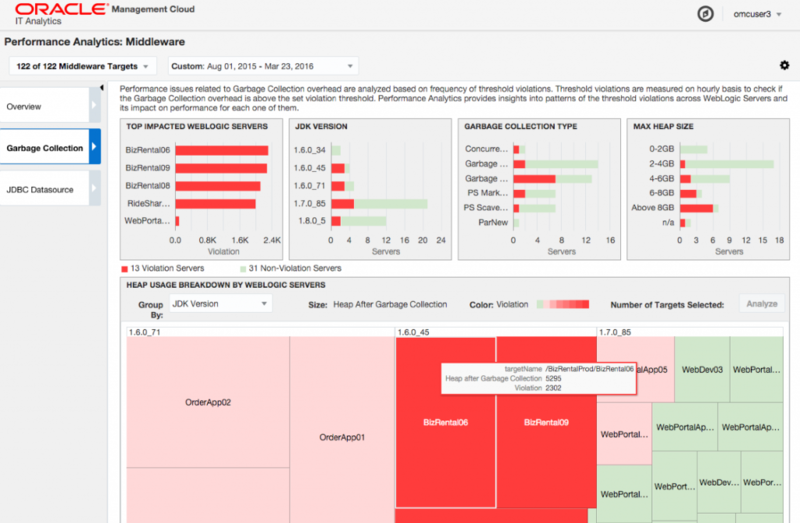 For example there are example dashboards / worksheets that show live cycle management, resource, information. Dashboards and worksheets can be created in such a way that you are able to drill in, zoom in, on specific pieces of presented info. 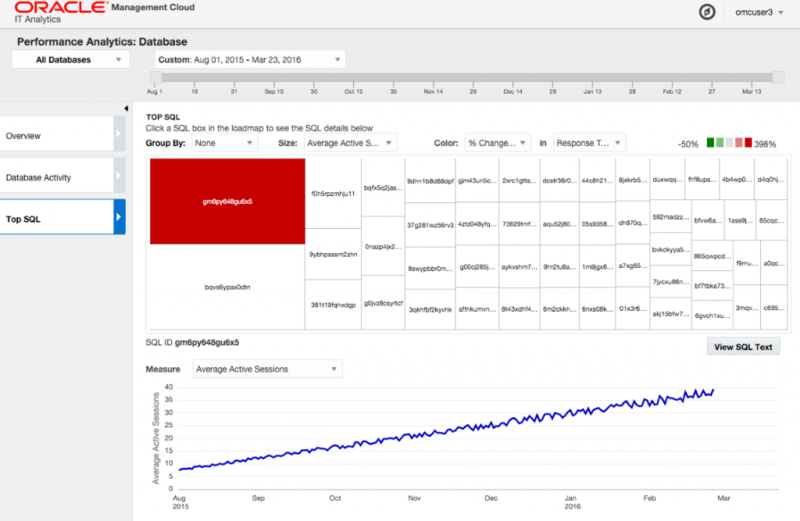 For example, when having a more detailed look at the performance database analytics dashboard, you can filter on date, performance characteristic, group all or only a single database view, etc. etc. So in short, do some analytic digging. 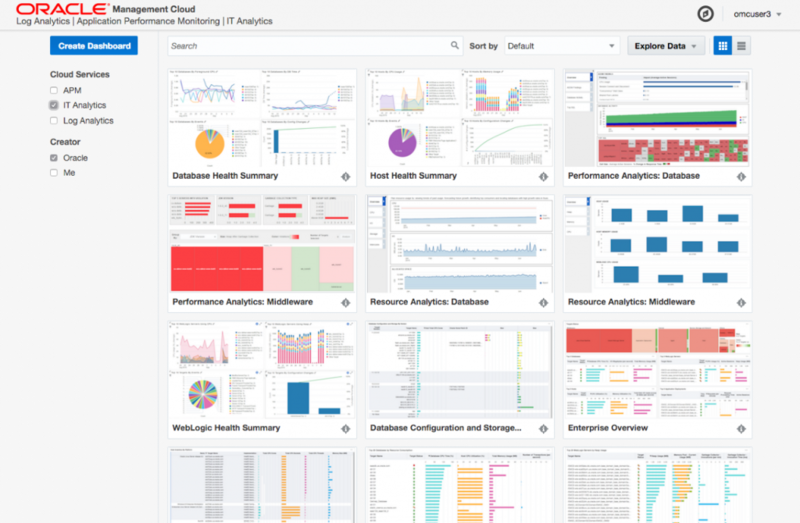 Have a look at the screenshots below to get a feeling what you can do, or create for yourself via IT Analytics (focusing on performance dashboards ). 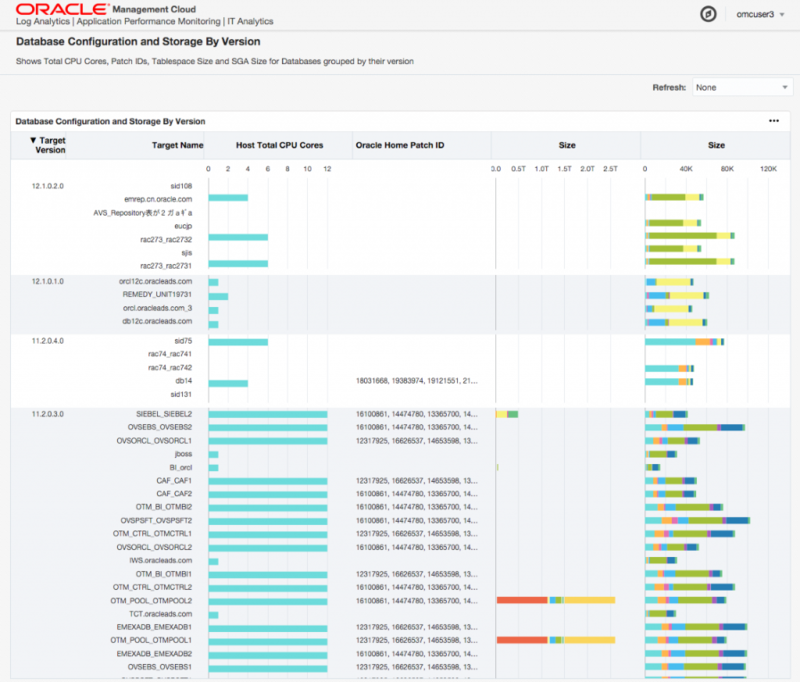 For the Middleware out-of-the-box performance dashboard that was created by Oracle, you have a lot of the same filter, group, zoom-in etc. options. 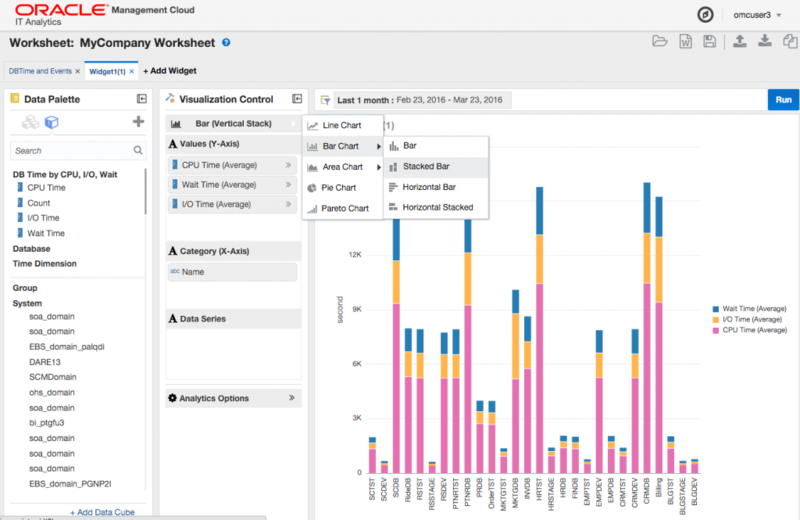 The Data Explorer can be used to create Worksheets. These Worksheets then, when completed and saved, can be used in your own dashboards. Via a info board, you get a first glance of the steps needed to save / create a Worksheet. There is a lot you can do via the Data Explorer regarding selecting, filter options, use of analytic functions, chart options, etc. Please refer to the documentation for more information. The following pictures give an overview of what to expect. 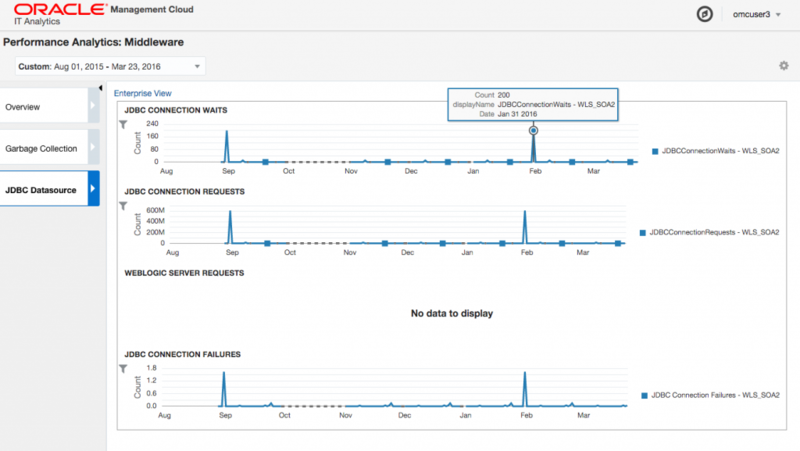 Via drag and dropping the data pallet content, for example, “I/O Time” presented in the picture below under “DB Time by CPU, I/O, Wait”, into the sections for Y-axis, X-axis, etc. You can label the different sources or via “Analytics Options”, a lot of analytical / statistical stuff like (if I remember correctly) regression, distribution, etc. When done, you are able to choose how to present it via a lot of different chart options… The widget section will show you the end result if you press the [Run] button. This gives you a chance to see if the result is what you would like it to be. When everything is as you would like, you can save & publish the widget, worksheet, so it can be used in your new dashboard. When creating a dashboard, you can now add the widget via searching for it via the “Add Widget” option. 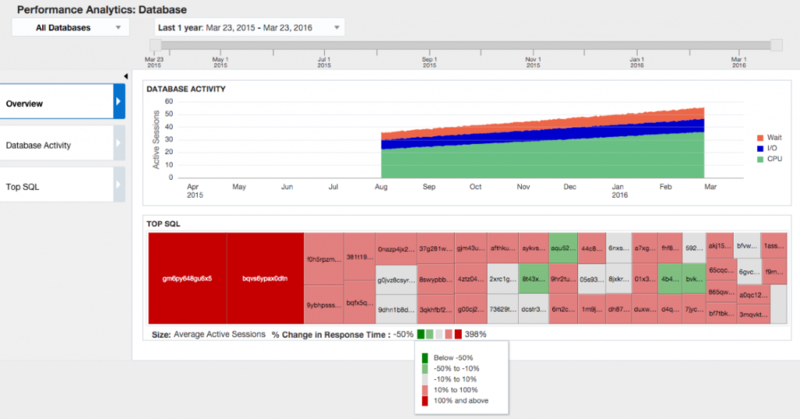 The dashboard can be split up in different sections / template layouts. Afterwards you will be able to resize regions by drag and drop actions or resize the region bigger, smaller via grabbing the edges via mouse click/resize actions. Widgets can be drag and dropped in the sections you would like it to be in. After saving the final Dashboard, you can now find it in the Dashboard overview page filtering on “Creator”. The finalized dashboard, that is my attempt at a first dashboard, has a time range, but also can automatically refresh via different seconds/minutes etc. options. 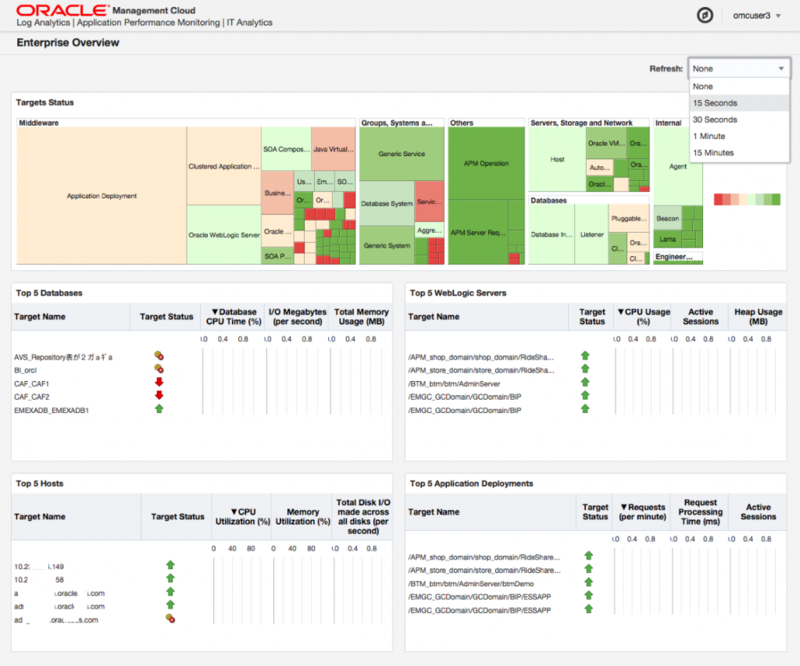 Actually “IT Analytics” is the functionality I am missing so dearly in all the Oracle Enterprise Manager versions over the years. 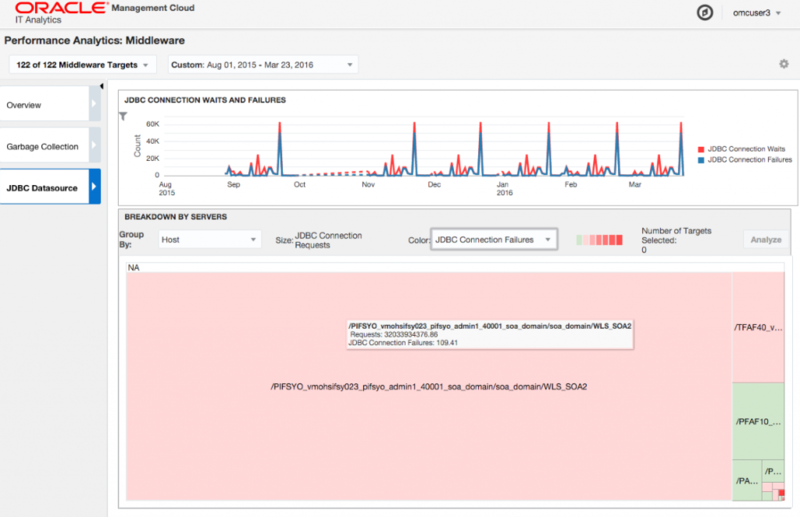 It would have enabled me to create, for example, an IT Operations “traffic light” dashboard with a simple overview of “databases up/down/warning”, “middletier up/down/warning”, etc. in colors like red, green, yellow. 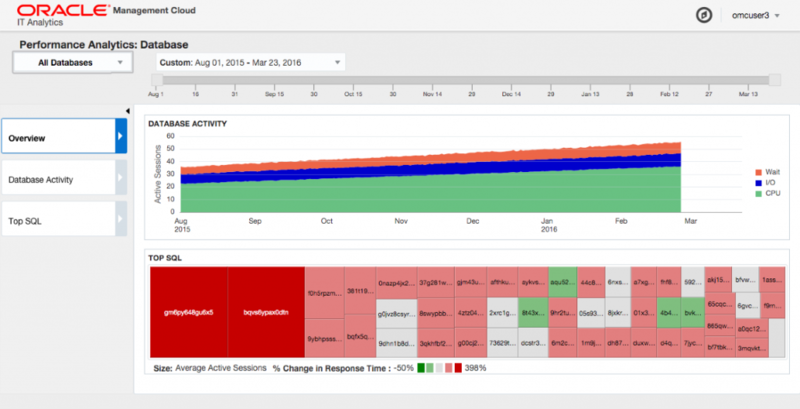 Although it doesn’t have “traffic light” charts, you could create something similar with a stacked bar chart. Although simplistic, very useful in a Operations or ServiceDesk room being presented on a big TV screen alerting everybody immediately when problems arise during working hours (and something you still could interpret from 30 feet away). 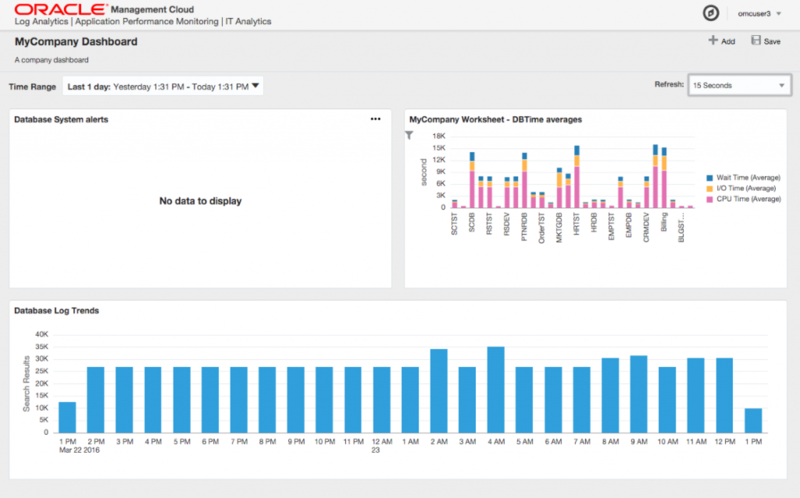 Of course you can create more reporting like of overviews or application specific dashboards with the “IT Analytics” Cloud service. 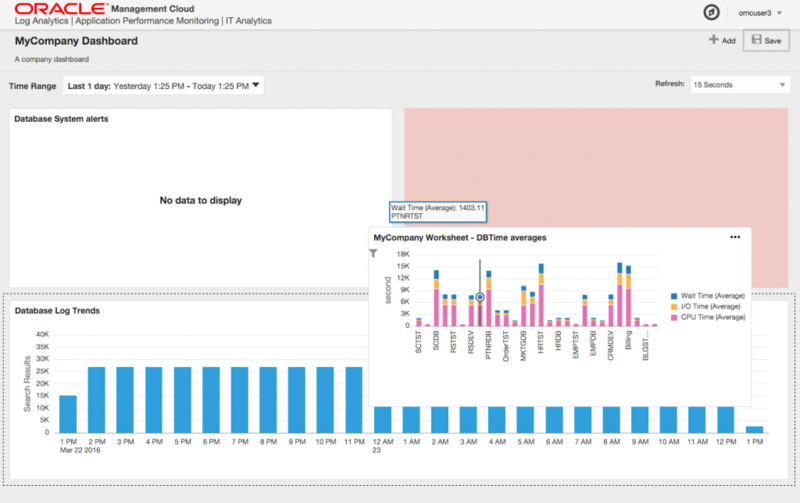 In all, “IT Analytics” is a very powerful and useful addition to the (Oracle) IT tool belt.